Contact us via Social Media: Links to the right. 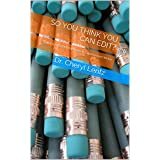 Dr. Cheryl is an award winning educator (3 Faculty Awards) and award winning writer (18 awards) who provides personalized editing and coaching for doctoral students, graduates, and faculty to master writing as a doctoral scholar. January 28, 2016: Walden University Names Dr. Cheryl Lentz Faculty of the Year. Call today for your FREE 30 minute consultation. Ask how our award winning team can serve your needs to help you graduate more quickly, gain journal submission acceptance more quickly, and become a more effective faculty to keep your students engaged. Dr. Cheryl Lentz has been cited in major media as a Top Professional in publishing. Imagine what she can do for you as a top influencer? A: Of course! We agree to provide you with high quality editing and review services at affordable prices, where we will complete our work in the time we have promised, if not before. Please keep in mind that according to our attorneys, we cannot guarantee acceptance by university review processes , acceptance to a university program, or peer-reviewed publications, however as a result of our feedback. Q: How long can I use my package? A: All sales are final. No refunds. All paid packages must be used within 6 months of original purchase.